Tagline: Don’t think it; don’t say it. Time to blame the Ouija Board. Again. The Bye Bye Man (2017) debuts on Friday the 13th, January 2017. It is the first horror movie of 2017 (Amityville: The Awakening was moved from January 6 until June). 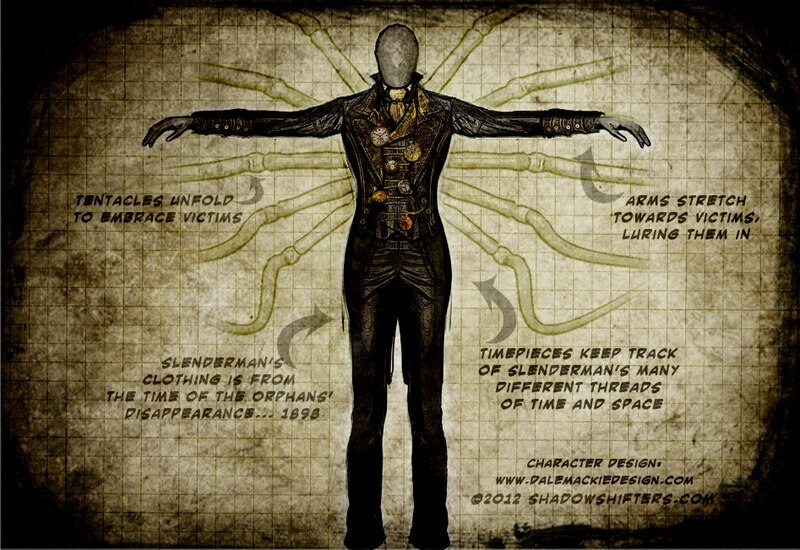 The trailer portrays a menacing creature who is a cross between Candyman and Slender Man, two contrived characters to seem like an urban legend. The Bye Bye Man media package wants viewers to believe this is based on a true story. That would be a stretch. Robert Damon Schneck published The President’s Vampire: Strange-But-True Tales of the United States of America, a collection of short tales, in 2005. It has been republished as The Bye Bye Man: And Other Strange-But-True Tales coinciding with the movie. The movie builds off of the short story “The Bridge to Body Island,” set in the 1990s when three college students move into a house and discover a cursed Ouija Board. Of course they begin to experiment with the board and eek out the story of an abandoned blind albino boy born in rural Louisiana and left on the stoop of an orphanage. The boy, ultimately known as “The Bye Bye Man,” escapes the orphanage traveling vagabond style leaving corpses in his wake. He pines for a “friend” and begins sewing eyes and a tongue together. The creature sets the “friend” down so it may identify the next victim. The doll whistles when a victim is found. The urban legend stops shortly after this and the movie presumably picks up the tale. The trailer and brief write-ups describe the plot as a mesh of Ouija Board antics, tied to a creature who comes when his name is called or thought (hence the Candyman reference), photobombing pictures like Slender Man, and then leading to possession. Originally rated R, the movie is PG-13. The production budget is $6 million, making it a low-budget movie, but certainly not fatal for a horror movie. Stay tuned for my review after opening weekend. In the meantime…don’t think his name, nor dare say it. Kim stands in front of the train. The Internet was abuzz this week and not just with renegade llamas. Twelve-year-old schoolgirl Holly Hampsheir was touring Hampton Court Palace with her cousin Brook McGee. With her smartphone, Holly snapped a picture of her cousin’s backside and low and behold a ghost appeared. The girls claim that they did not immediately notice the ghost until they reviewed the pictures. News of a possible image of the Dame Sybil Penn, a.k.a. The Grey Lady, quickly spread. Unfortunately, the picture is a fake. Hampton Court Palace is plagued with sadness. Anne Boleyn resided at the palace before her beheading in 1536. Another wife of King Henry VIII Jane Seymour died weeks after childbirth at the palace in 1537. Another wife Catherine Howard was imprisoned at the palace prior to her beheading in 1542. All three supposedly haunt the palace. Hampton Court has a lot of reasons for activity. The latest claim involves Dame Sybil Penn. Dame Sybil was a servant to four Tudor monarchs. She lived at Hampton Court. She died in the late 1500s from smallpox. Rumors of her haunting began shortly after her tomb was disturbed around 1829. However, no one has ever taken a picture of Dame Sybil, or any of King Henry VIII’s former wives, until now. The image is a fake. Although a “photography expert” was consulted and claimed not to find tampering, the image has several tale-tell signs. First, the image is too colorful. The “ghost” appears in the center of the image. Noticeably, the spirit looks elongated. Further, the figure is either hovering or incredibly tall. Finally, there is simply too much hair. Never has a piece of evidence been so clear. Nor has there been any evidence of this type found at Hampton Court. This is just too good to be true. See for yourself and feel free to comment. Update: Seems another true expert on photography Mick West debunked this image as a panorama glitch in the iPhone. 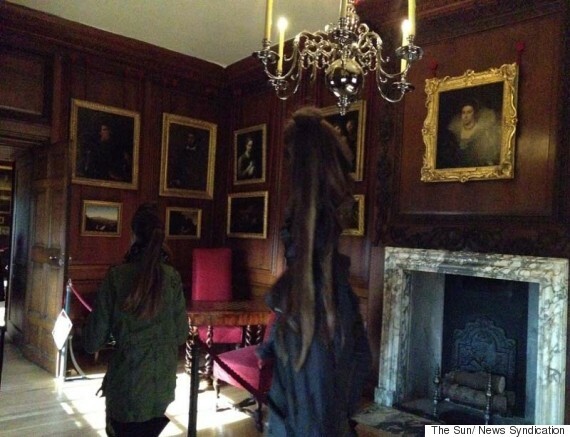 Please read his incredibly interesting article Debunked: Hampton Court Ghost Photo [iPhone Panorama Glitch]. Huge thanks to Mick for clarifying! 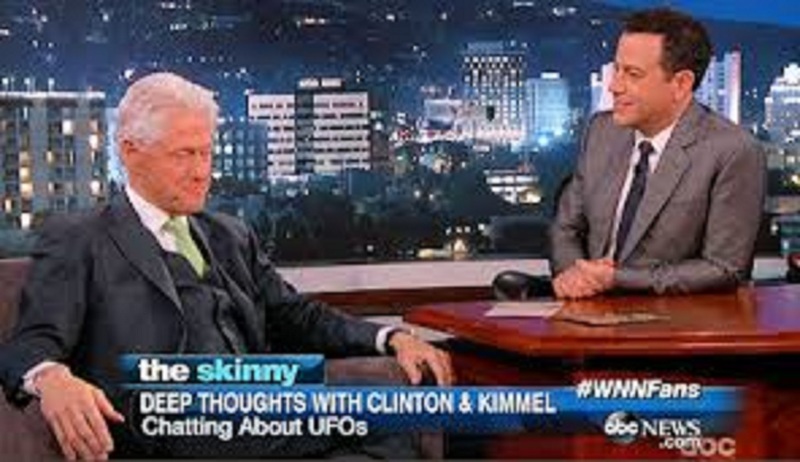 Former President Bill Clinton made Internet news when he appeared on Jimmy Kimmel’s TV show and discussed aliens. Specifically Roswell, New Mexico. Although Mr. Clinton discounted claims that aliens were housed at Area 51, he was very receptive to the idea that extraterrestrial life exists. How could it not? Unidentified Flying Objects, or UFOs, sightings have occurred throughout history. In the Book Ezekiel from the Bible mentions a sighting. 1975: Travis Walton abducted by aliens in Arizona and witnessed by his friends. The common thread is that all of these people claim that little, green men with big eyes abducted them. M. Night Shyamalan’s Signs portrayed them as greenish-grey creatures with large eyes. The U.S. Air Force coined the term “UFO” in 1952. This term applies to anything in the sky that is unknown—at the time. Admittedly, most people did not have access to information like today. So, most of what was seen back then was unknown. However, there are over 70,000 sightings worldwide each year! Still. 1 in 5 Americans believe that Washington, D.C. will be the “landing zone” for an alien encounter. That’s good news for Bill, unless Hilary runs. Extraterrestrial researchers agree that intelligent life exists in the universe. They’re unsure, however, if it exists in our galaxy. I agree! 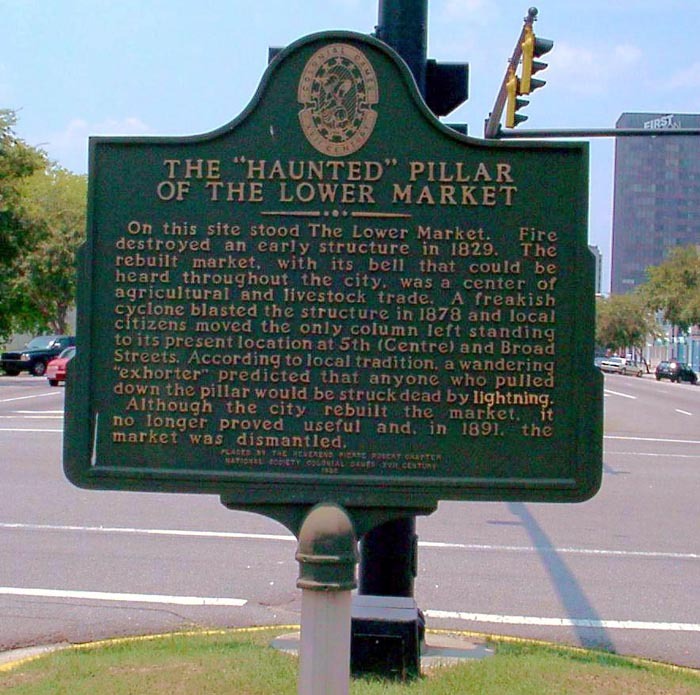 The historic marker for the “Haunted” Pillar in Augusta, Georgia. Urban legend claims that an unknown preacher was denied the right to sermonize at the location. 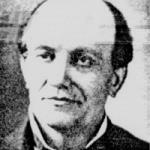 He demanded that the city pay to build him a church in order for him to speak to the masses. When the city refused to give into his demands, the preacher cursed the location. Some versions claim he cursed the pillar specifically. According to local legend, the preacher vowed that anyone who attempted to move the pillar would be killed (or struck down). This reportedly occurred in 1829. 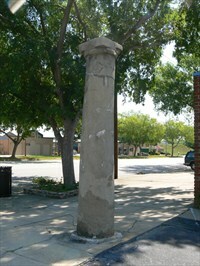 Built in 1830, the “Haunted” Pillar once stood at the Market House on Broad Street in downtown Augusta, Georgia. 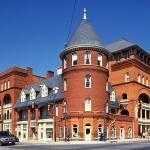 The Market House stood strong until February 7, 1878 when a tornado leveled the market leaving only the one pillar. Additional stories claim that the pillar was the sight of multiple lightning strikes and an alarming number of automobile accidents. The pillar has been moved several times. In addition, it may have undergone significant cosmetic enhancement (i.e., been rebuilt). 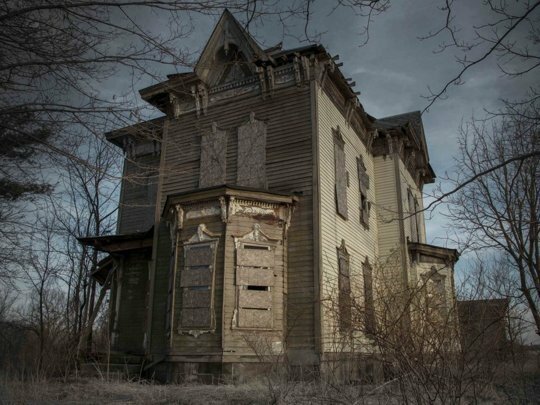 It begs the question: Is it haunted? Doubtful. The Internet is ripe with tales of people hearing footsteps around the pillar. People turn to the “curse” and claim the preacher is responsible. However, the story is murky. The supposed “curse” was done one year before the pillar was built. In addition, the lone surviving pillar has been moved a number of times. And it has been rebuilt and restored numerous more times. Currently, the pillar sits at a precarious intersection, which may be the cause of all of the car wrecks. And, despite the contrary, lightning does strike the same place twice. Don’t fall it. It’s a good story, but not a haunted location.